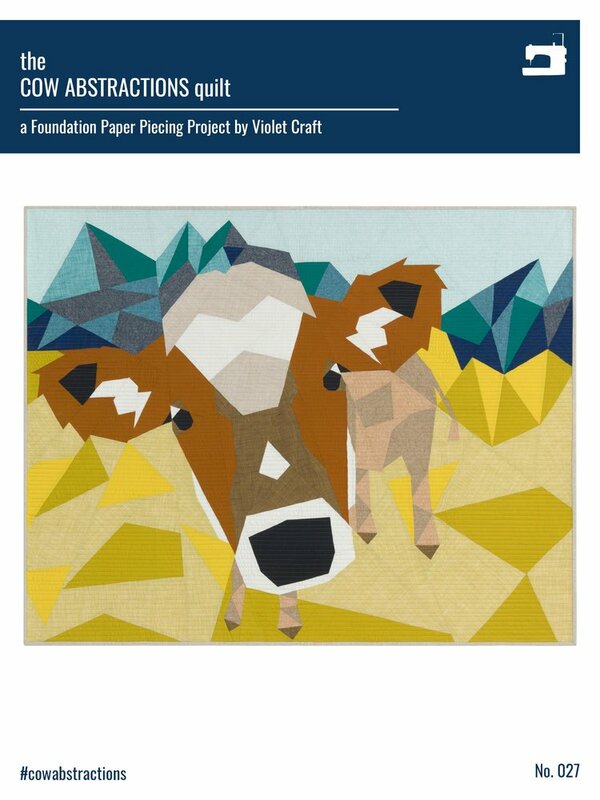 The Cow Abstractions Quilt is the first pattern in The Farmland Series. This foundation paper pieced quilt pattern is made of one striking large scale block perfect for a wall hanging, baby quilt, or incorporated into a larger quilt design. Instructions assume a knowledge of foundation paper piecing. Before beginning this pattern copy or trace the PATTERN TEMPLATES at 100% to retain your original templates. Templates must be printed on 11” x 17” paper on a dark enough setting to retain all details.